The Town of Sewall's Point, is located on a unique peninsula between the St. Lucie River and the Indian River Lagoon. The peninsula is 3.5 miles long and an average third of a mile in width. The southernmost point of the peninsula lies approximately two miles west of the Atlantic Ocean via the St. Lucie Inlet. 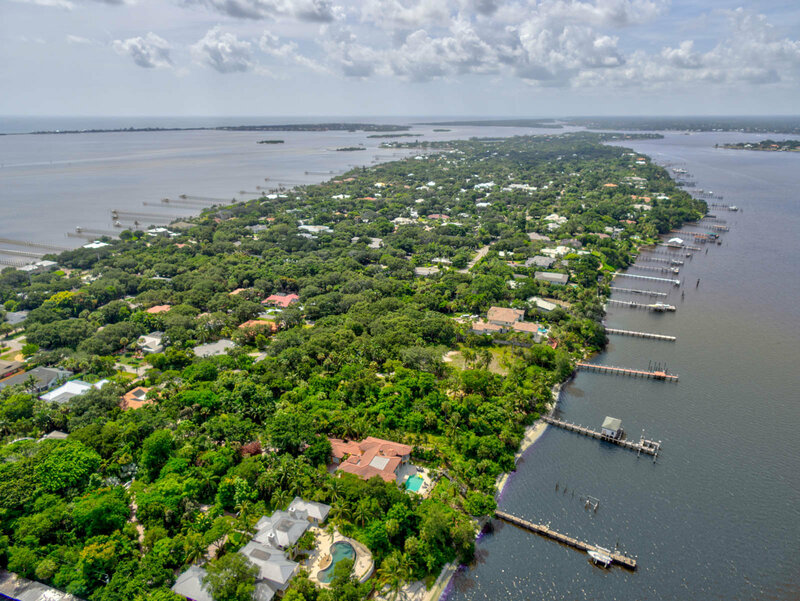 Hutchinson Island is to the east across the Indian River and the City of Stuart is to the west across the St. Lucie River. Sewall's Point is steeped in tradition and has a small, exclusive shopping center offering excellent restaurants, banking, fine arts, antiques, and numerous clothing stores for your shopping pleasure. The town boasts over 7 miles of beautiful waterfront homes, thus providing glorious sunrise and sunset water views. Enjoy an abundant variety of boating and fishing opportunities. Both the town and the peninsula are named for Capt. Henry Sewall, heir to the Hanson Grant. Capt. Sewall and his wife arrived in this area in 1889. In the beginning Sewall's Point meant exactly what it said, the point of the peninsula that belonged to Henry Sewall. Captain Sewall was one of the direct descendants of Captain Hansen, to whom the Hansen grant of 27 square miles was made by the King of Spain when Florida was a Spanish possession. Coming to Florida when the Hansen grant was divided, the Captain settled on what became known as Sewall’s Point. Approximately six square miles of the grant were given to him in the partition of the property embracing Golden Gate, Port Sewall and Sewall’s Point.